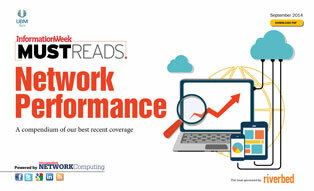 Network Computing's September Must Reads is a compendium of our best recent coverage of network performance. Learn why the Internet of Things threatens to overwhelm network bandwidth, how to find cost-effective ways to streamline your IT operations, what to consider when building a next-gen WAN, and more. Access is free -- just click the "Go To Digital Issue" button below. If you haven't already signed up for our exclusive digital content, you'll be asked to register with InformationWeek. It's free and takes only a few minutes. Next-Gen WAN: Build Or Buy?